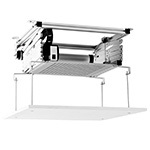 The appearance of your rooms is not compromised and the modern equipment will only appear when needed. 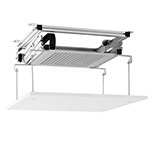 The ceiling lift is an ideal addition to the celexon ceiling recessed screen “Expert” series. 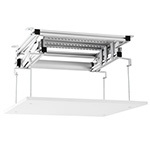 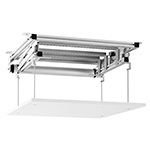 This ceiling lift with a 96cm installation width is an ideal solution to discreetly and unobtrusively integrate a projector (up to 15kg) into your false ceiling.